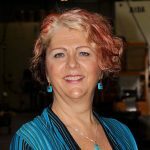 On May 11 from 10:30-11:30 am Pacific Time, Meeting of the Minds will host a live webinar, featuring Deborah Acosta, Chief Innovation Officer, City of San Leandro CA, and Jennifer James, Director of Smart City Solutions, Black & Veatch. The electric power industry is in the midst of a transformation as it shifts from a centrally controlled one-way generation, transmission and distribution system to a diverse, distributed and interactive one with more players, technologies and customer choice. Energy is becoming a top-of-mind consideration for community members who are becoming electricity producers as well as consumers. Meanwhile utilities are redesigning their infrastructure and business systems to adapt to a complex, uncertain future, and city leaders are playing increasing roles in shaping how the transformation will play out in their jurisdictions. 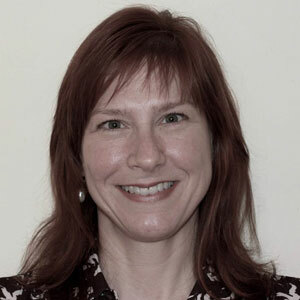 Deborah Acosta, Chief Innovation Officer with the City of San Leandro CA, will share the city’s plans for accelerating distributed, renewable energy adoption including a community microgrid. She will share insights regarding the importance of civic engagement and a collaborative utility-city relationship. This Meeting of the Minds webinar, hosted by Black & Veatch, will discuss utility- and city-driven innovations that enable consumers to be at the heart of the new energy future. As the City of San Leandro’s first Chief Innovation Officer, Ms. Acosta’s task is twofold: (1) develop the Lit San Leandro 10 gbps fiber optic network as a unique infrastructure tool to attract, expand and retain innovative tech businesses and businesses in need of fast connectivity; and (2) to cultivate a healthy tech and innovation ecosystem designed to attract investment, companies and jobs to San Leandro. Ms. Acosta has focused on developing public/private partnerships to achieve City Council goals regarding economic, technology and environmental resilience. The most visible success of this strategy is The Gate, the transformation of 400,000+ sf of a former Chrysler Dodge auto plant into one of the largest art/tech/maker incubator in the Bay Area. The Gate also includes the largest 3D desktop printing hub under one roof in the world – the Bay Area Advanced Manufacturing Group (BAAM). Today, over 3 million square feet of commercial and industrial building space and over 200 businesses are now connected to Lit San Leandro. Recently, the City launched a new public private partnership with Olidata Smart Cities, OSISoft, Lawrence Berkeley National Labs, GELI and Pacific Gas and Electric Company (PG&E) to create a City-wide distributed renewable energy micro grid – a power plant on every roof and parking garage! Jennifer James is the Director of Smart City Solutions for Black & Veatch’s Smart Integrated Infrastructure business. She works with internal domain experts, clients and industry partners to advance smart infrastructure and analytics solutions that enable city systems to be planned and managed more holistically and sustainably. James previously served as Vice President of Marketing for a major energy optimization software company. She also has consulted with technology focused marketing and communications agencies in the United States and Canada. James holds a Bachelor of Commerce degree and a Master’s in Sustainability and Environmental Management. 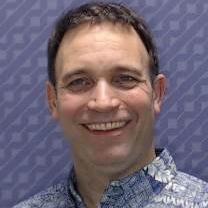 Rich Barone is the Manager of the new Demand Response department at Hawaiian Electric. He provides leadership and direction in DR strategy, business cases, technologies and program portfolio development. Rich works across process areas and the three Hawaiian Electric utilities to optimize DR and Distributed Energy Resources to foster customer choice and system reliability while supporting the state’s clean energy goals. Rich joined Hawaiian Electric with over 15 years of strategic planning, early-stage technology assessment, software development and system integration expertise. His most recent experience is as Associate Director in Emerging Technologies at Navigant Consulting. In that role, his primary focus was in Demand Response and Smart Grid. Prior to his tenure with Navigant, Rich was employed by Pacific Controls, Inc. as VP, Smart Grid Services. Rich holds a M.S. in Energy Technology & Policy and an M.B.A. in Entrepreneurship from the University of Colorado. He earned a professional certificate in E-commerce Application Development from Columbia University and he holds a dual B.A. in English and Philosophy from Boston College.